WITH BUYERS AROUND THE WORLD. 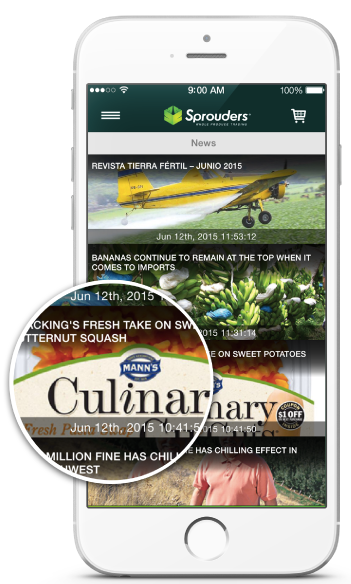 Sprouders® is the digital platform for fresh produce trading to find the best fruits and vegetables, make direct orders, check the terminal market prices and read the latest agricultural news. MAKE ORDERS DIRECTLY TO GROWERS. 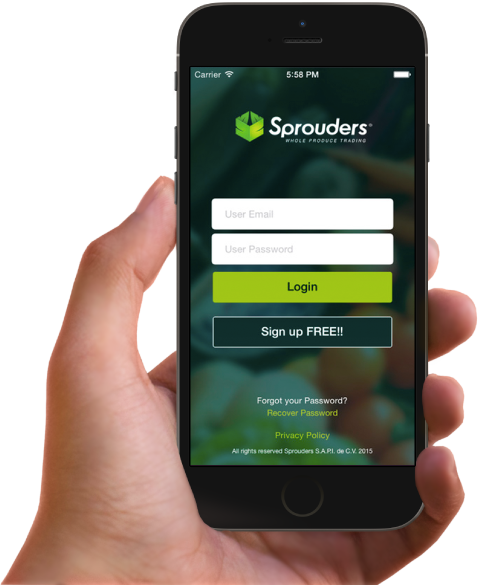 Find the best growers and fresh produce farmers around the world make direct purchase orders from your Sprouders® mobile app or webstite, and get the best prices buying directly to growers. 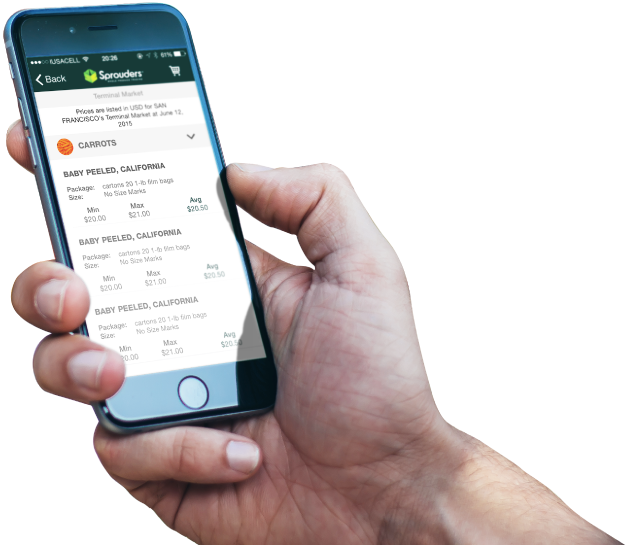 Review the terminal market prices and get information about the supply and demand of fresh produce around the world with a great design on the mobile web interface. READ THE LATEST AGRICULTURAL NEWS. Get acces to the daily global agricultural news and get ready to make your business decision after being informed. 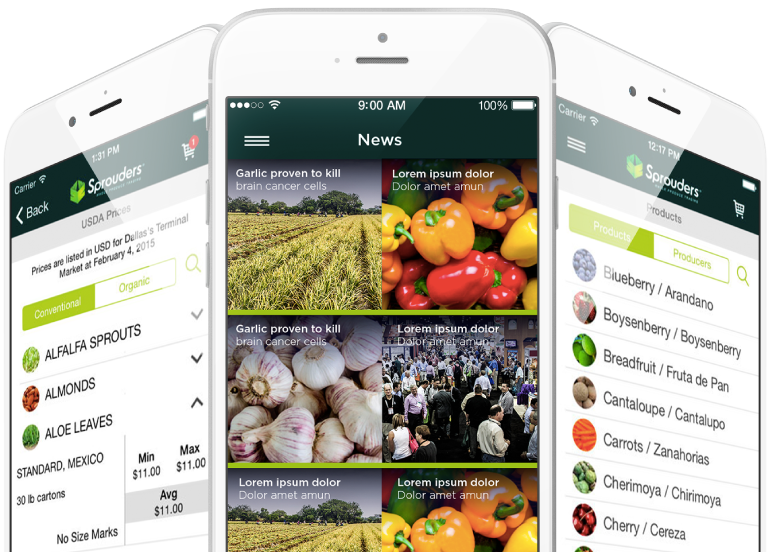 TRADE YOUR FRESH PRODUCE TO MANY DIFFERENT COUNTRIES AND GET MORE BUYERS. 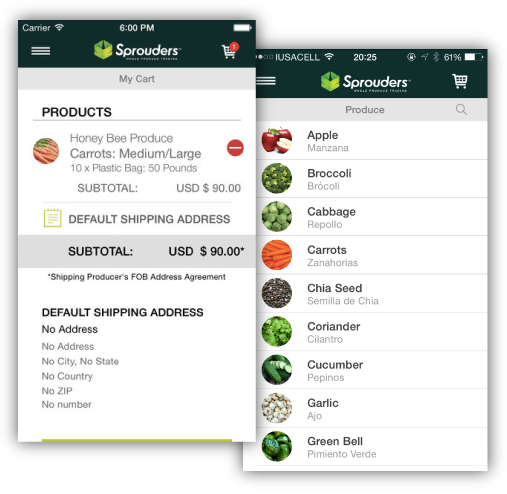 Suscribe now to Sprouders®, show your local fresh produce to big buyers around the world and skips a lot of brokers. SPROUDERS AGROTECNOLOGÍAS SAPI de CV.